Festival will be held at the Powell Library Rotunda on UCLA’s main campus. iPalpiti Artists International, a non-profit organization, was founded in 1997 by Eduard and Laura Schmieder, world-renowned violinists and music educators. With the support of distinguished legendary musicians, iPalpiti discovers and promotes talented young professional artists from around the globe. The iPalpiti Orchestra, founded by Eduard Schmieder in 1991, became the flagship ensemble of iPalpiti Artists International. iPalpiti’s humanitarian mission of cultural exchange succeeded in creating a truly universal network of more than 200 artists from all over the world, promoting international and cultural understanding through music. 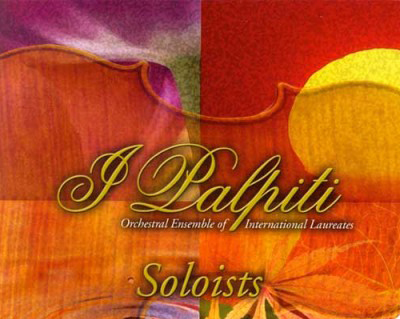 Each summer, iPalpiti brings twenty-five to thirty of these exceptionally gifted professional musicians to its home-base in Los Angeles, California, for the prestigious iPalpiti Festival of International Laureates, where members perform in solo, ensemble, and orchestral public concerts. iPalpiti artists, often referred to as the “Musical Peace Corps,” hold claim to more than 100 international competition awards. The festival is made possible by the Henry J. Bruman Trust; by a gift from Professors Wendell E. Jeffrey and Bernice M. Wenzel; by a gift in memory of Raymond E. Johnson; and with the support of the UCLA Center for 17th- & 18th-Century Studies.